With Mercury Network, we'll help you find the best domain name for your business or personal needs. A variety of domains are available to be registered quickly, easily, and affordably. To some people, choosing and finding the right domain name for their web site is just as important and sometimes more daunting than actually developing the web site itself. Click on the tips below for details to take into consideration when choosing the perfect domain name for your web presence. When choosing a domain name for your web site it is important to make sure the domain name reflects the site it will be used with or the company in which it is associated. When people visit Mercury.net they are expecting to arrive at our web site. Domain names that share a commonality with the name of the site or the company it represents allows new and returning visitors to easily recognize if they have made it to the correct web site. Keeping things simple, makes it easier for your visitors to find you on-line. In addition, ideal domain names should be unique, as short as possible, and easy to remember. It is much easier for your visitors to find, navigate to, and remember your web site if it has a short URL such as "www.mydomain.com" rather than "www.thisismylongdomainname.com". Domain names that contain hyphens or numbers not only take away from the simplicity factor of typing the domain name for your visitors, but it also makes it hard to promote verbally. Have you ever tried to accurately say "www.my-domain99.com" aloud? When picking the right domain name it is important to realize that not everyone is as tech savvy as the next person. There is nothing wrong with registering .net, .org, or .us domain names, many successful web sites use these TLDs. However, securing a .com should be your target goal when choosing the perfect domain name. The reason for this is that many people still automatically assume that .com is all there is. They completely forget that other TLDs such as .net even exist. This can lead to a loss of traffic for your website, or very confused visitors when they land on the wrong site. Mercury Network wholesale DNS provides ISPs and Hosting companies with easy, web-based access to DNS management. When a domain is hosted at Mercury, e-mail services can be added, and web forwarding is included at no extra charge. Mercury Network provides domain registration for $25 a year. When you purchase any hosting service for a domain from Mercury Network, domain registration is only $15 a year. 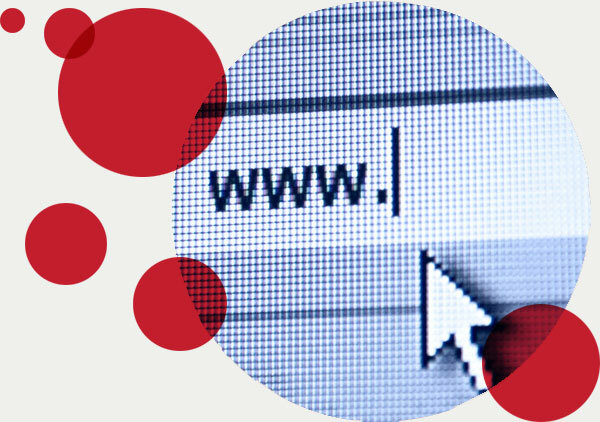 You can lock in savings by registering or renewing your domains at the current prices for up 10 years. Just let us know how many years to register or renew your domains for, and multiply that by the annual rate. Add Exchange-level e-mail, calendaring, and collaboration at your domain for only $29.50 a year more and web hosting for only $64.90 a year more. I just had to send this email to you. Phil came in this morning and said he called China last night and was thrilled with the quality of the voice and with the ease of the call. I also wanted to let you know that all the phones have been working so good and we are very happy with them:) Thank you for all of your energies and kindness getting us up and running correctly! Thank You! Last week I could not connect to www.mercury.net. I called tech help and learned that your experts identified unusual activity. They were about to contact me when I called. Over several phone calls, Tim, Jason and one other guy that I did not write down helped me re-establish connection and helped me get established with Malwarebytes, etc. All three of these guys were TERRIFIC! I have been a Mercury customer since about 1997 and one reason is the great service provided. Thanks Mercury Team! The local rep was very helpful to me when my computer was acting up; he solved my problem in a few minutes. You are a great company and I am very happy with the service provided to me for many years. We have had your service for 6 years and have always been delighted with the professionalism of every person we have met. I have to tell you, the service is awesome. We've been a customer of yours for many years, since (dial-up)... Service has been absolutely fantastic. Jason, thank you so much for all you did ... for being so helpful and pleasant ... that sure makes a difference ... one doesn't always get good service today. This evening, I called Mercury support to help troubleshoot a WiFi connection from the router. Noel was our support person. I wanted to let you know what a great job he did. He was very patient and continued troubleshooting until the issues were completely resolved. He was very pleasant and very knowledgeable. I was very impressed. Even when I became frustrated with the router reset not working (when it really was working), he assured me we would resolve the problem. And we did! Job well done Noel. Thank you! your employees are quite knowledgeable along with their kind dispositions! Many thanks. I just wanted to take a moment to thank you for the wonderful service we have received from Mercury since we joined Mercury. Even without all of the recent added enhancements, the service you have provided has been without fault. We sometimes take for granted those things. Thanks. Good morning Noel. Yesterday on OPEN MIC on our local radio station your boss was on. I called in and told him what a great job you guys (you and Nate) did. Maybe he will take you out for breakfast? Have a great day! Big thank you to Brad for taking the time to diagnose and getting my iPad working correctly and able to send my emails. I will definitely recommend Mercury Network to anyone looking for Internet service. Thanks for great service without the ads! We are a long time customer and we're grateful we found you. The domain name system (DNS) translates Internet domain and host names to their corresponding IP address using a distributed database. When you type a web site address, such as www.mercury.net, in your web browser, DNS automatically converts that web site address to an IP address of the web server that is hosting that site. DNS is what makes it possible for people to use friendly, readable domain names for their websites that allow others to easily find them on the internet. To register a domain just call Mercury Network customer service and one of our representatives will be able to assist you with registering your new domain name. When you register a domain, general information about who is responsible for the domains will be made publicly available. This information is generally used to allow for quick resolutions of technical issues and to help aid in enforcing trademark, copyright, and other laws. How long does a registration last? Can it be renewed? By default, domain name registrations last for a minimum of 1 year. However, you are given the opportunity to register a domain name for multiple years in yearly increments. At the end of your registration period you will be required to renew the domain name at the current price of domain name registration. If domain names are not renewed at the end of your registration period they will expire and will enter a grace period of 40 days. During this 40 day grace period the original registrant can renew the domain at no additional cost. At the end of the 40 day grace period the domain will enter the redemption period. During this period it may be deleted or auctioned off. If a domain is queued to enter or is part of a live auction, the original registrant cannot redeem the domain at this time. Depending on the status of the domain during this redemption period, it may still be possible to renew the domain but the cost is greater than that of a normal domain renewal. To redeem a domain during the redemption period, it is recommended that you contact Mercury Network customer service. Can I change registrars after registering a domain name? Domains can be both transferred to and away from Mercury Network. The registrars involved are known as the “losing registrar” and the “gaining registrar”. When transferring domains, most registrars will impose a few minor restrictions. These restrictions normally consist of a time frame in which the domain being transferred must have resided with the losing registrar. This time frame is generally 60 days since the domain was first registered or transferred to the losing registrar, but may vary depending on the registrar. Mercury Network provides easy and affordable Web Hosting with superior support and outstanding reliability. Get Exchange-level e-mail, calendaring, and collaboration for a fraction of the cost. With superior support and outstanding reliability, Mercury Network E-Mail is the best-in-class Microsoft® Exchange alternative for businesses and individuals. Call us today, 989.837.3790. Request a domain with Mercury Network! Get Started!